If you have a physical limitation, moving might seem overwhelming. 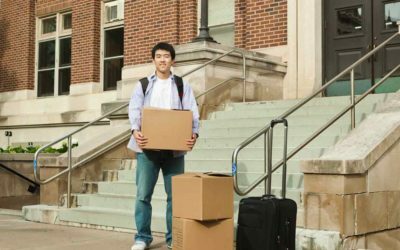 You might not be able to personally pack up your things for movers, but there are still options available. Here are four ways to bridge the gap between packing and being ready for movers. There are moving companies, like Bogdan Movers, that can do all parts of your move, soup to nuts. 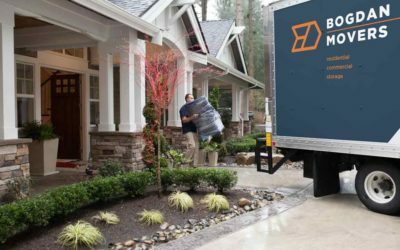 This is not always as costly as it seems, as movers are trained for the job, work quickly, and have the necessary tools, equipment, and packing supplies to get the job done right. If you cannot pack up your items and get them ready for the moving truck, movers can incorporate this into the entire process. Be sure to source a company that can offer comprehensive packing and unpacking so that you are covered on both ends of your move. Ask for a quote from Bogdan Movers. If you need help packing up your house and getting things ready for a move, you might just need an extra hand. There are online services that background check their staff, and can come to help with a variety of tasks. If you need someone to come and box up items that you cannot get to or are too heavy, you can hire someone to help with these specific tasks. If you have a disability or are a senior citizen, there are organizations that you can call on to help with certain aspects of your move. This is a great option if you don’t have too much extra money to spend on additional help while moving. Find a group that caters to those with special needs and see what types of services they might offer when it comes to organizing, packing and moving. If you have let your home get out of control because of your limited mobility, there is a chance that simply packing everything up isn’t going to cut it. If you need someone to come and help organize your things before you can start packing, you can bring in a professional organizer. They will help you get items ready to donate or throw out, getting rid of clutter to prepare for moving. This can be done in conjunction with a junk hauling company and movers. Don’t feel unempowered if you don’t have the physical ability to pack up your belongings. There are plenty of options that can help if your family is far away or have similar limitations. Getting your items packed up and ready to move doesn’t need to be an overwhelming process if you can hire on the right help.